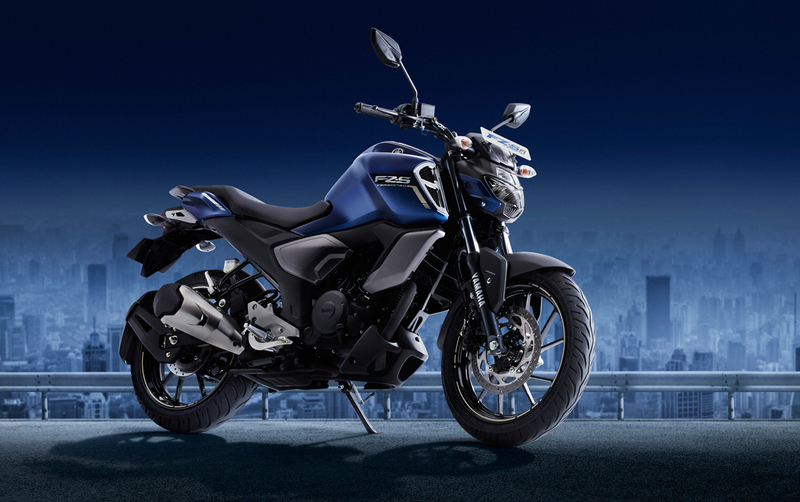 Yamaha Motor Releases FZ-FI 2019 in India, Base Model to Increase Indian Sports Model Sales - News Releases | Yamaha Motor Co., Ltd.
IWATA, January 22, 2019 - Yamaha Motor Co., Ltd. (Tokyo:7272) announced today that the new release of the FZ-FI 2019 sports model equipped with a 149 cm3 BLUE CORE*1 engine, incorporating a muscular bound design in-line with later FZ series models and new features that support comfortable riding etc. is scheduled for release later this month. The FZ-FI has been developed under the concept of Urban Fighter appealing mainly to power hungry young Indian men in their twenties who are particular about style and masculinity as they ride throughout the city streets. Main features include 1) while inheriting the strength of the FZ series, new styling of the front, tank and engine give a bigger appearance, 2) body designing leading to a more relaxed riding position, 3) double-seat and grab-bar that helps further support the comfort of any tandem rider, 4) an engine set-up that has been refined for a greater acceleration feel, 5) a front braking system which has adopted the ABS-1 ch. In addition, the advanced specification FZS-FI is equipped with an under-fairing and metal plated air intake modeling look. Manufacture and sales of this model are to be carried out by our group company India Yamaha Motor Pvt. Ltd.